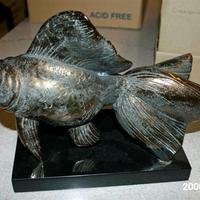 Bronze silver plated goldfish on a black marble base. 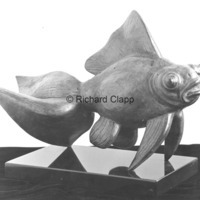 Figure from "Japanese Goldfish, Lizard and Frog Fountain," 1937-38, bronze. Located at Thornlea, Cranbrook Educational Community, Bloomfield Hills, Michigan.